Barbary Sheep do not look like anything seen in paddocks around Australia. In reality, they are somewhere between a sheep and a goat. Usually it is easy to tell the difference between a goat and a sheep; male goats have beards and straight horns, sheep have curled horns and no beards. However, Barbary sheep have both beards and curled horns, making them a challenge. On a biological level, they are more closely linked to sheep than to goats. The Berber people of North Africa refer to them as Aoudads, which avoids any attempt to class them as a sheep or goat. This agile sheep lives in small groups usually consisting of one male, a few females and their offspring. If food is scarce, such as in the dry season, several of these groups may congregate, forming a herd of up to 20. Adult males must earn their position as head of a group. First they show off their magnificent mane of hair on their neck and front legs. The male must then prove his strength through battle; this begins with the steely glares from each male as they slowly move towards each other. Suddenly, in a burst of speed the males hurtle themselves at each other, lowering their heads before colliding. The result is an earth shaking cracking sound. This continues until one backs down. Remarkably, it has been observed that a male will not attack if his opponent is unprepared or off-balance. 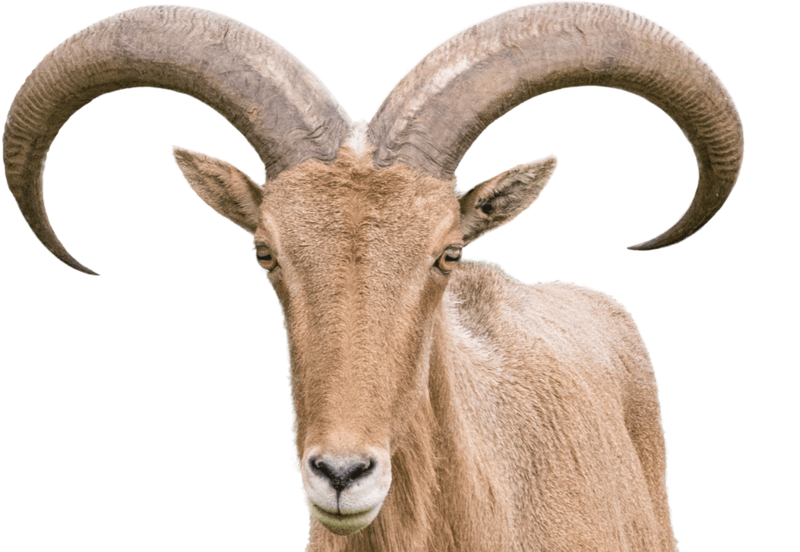 The National Zoo & Aquarium is home to 7 Barbary Sheep.